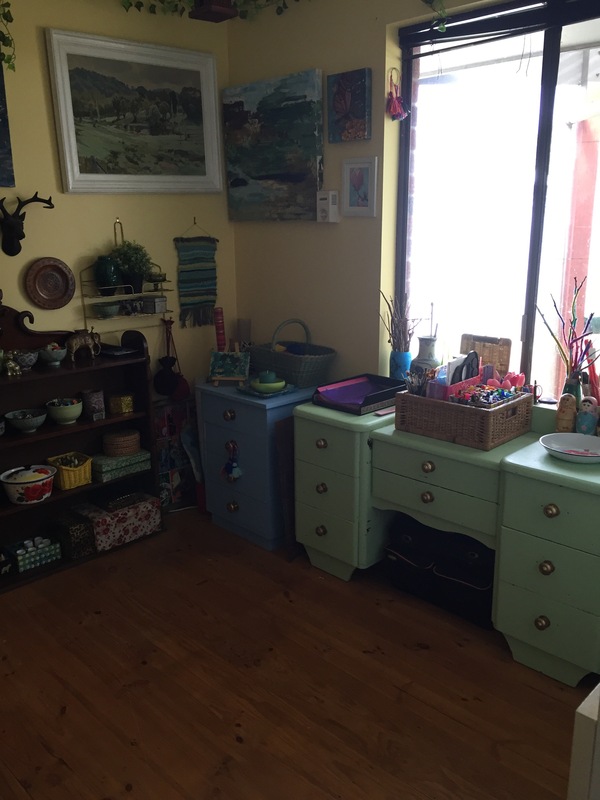 What I got up to over the Easter long weekend…. 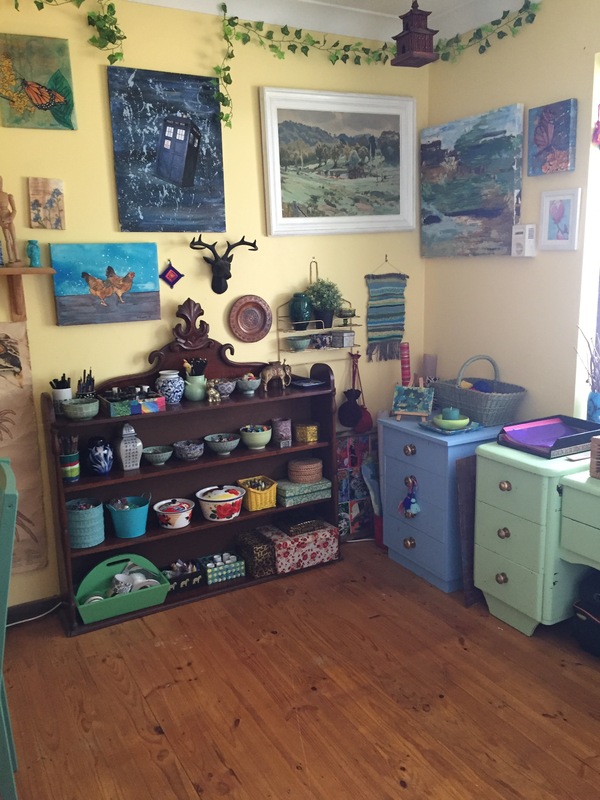 I had a very busy Easter, that centred entirely around my studio. Primarily my studio floor. There was ugly grey nylon carpet in this room (as there still is in my bedroom and library), and I hated it. So when Snowflake scratched the carpet so much she pulled it up at the corners, and I saw what was waiting for me underneath…. I couldn’t wait to get out the tool box! 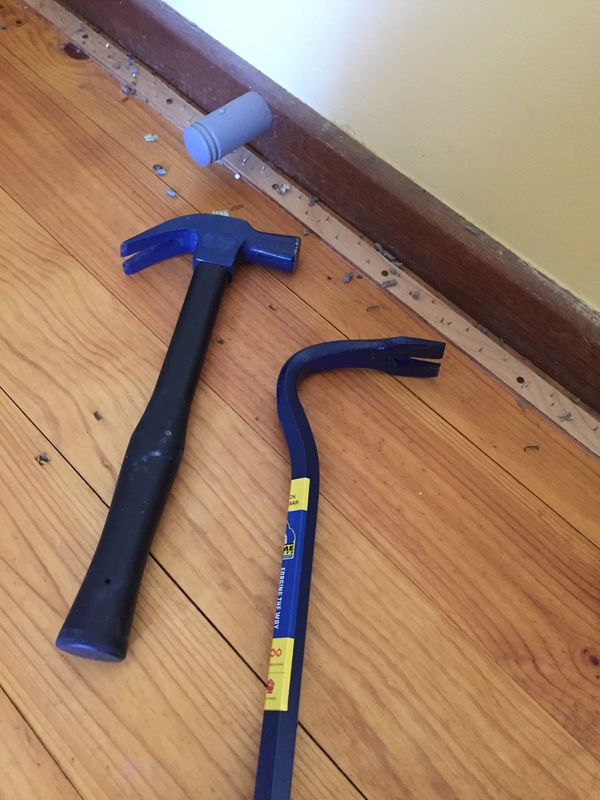 Once I had pulled up the carpet and the underlay, I had to get out a hammer and a wrecking bar to pull up the strips of wood covered with nails. And then pulling up the staples from the underlay. *sigh* At this point I wondered what I’d got myself into! 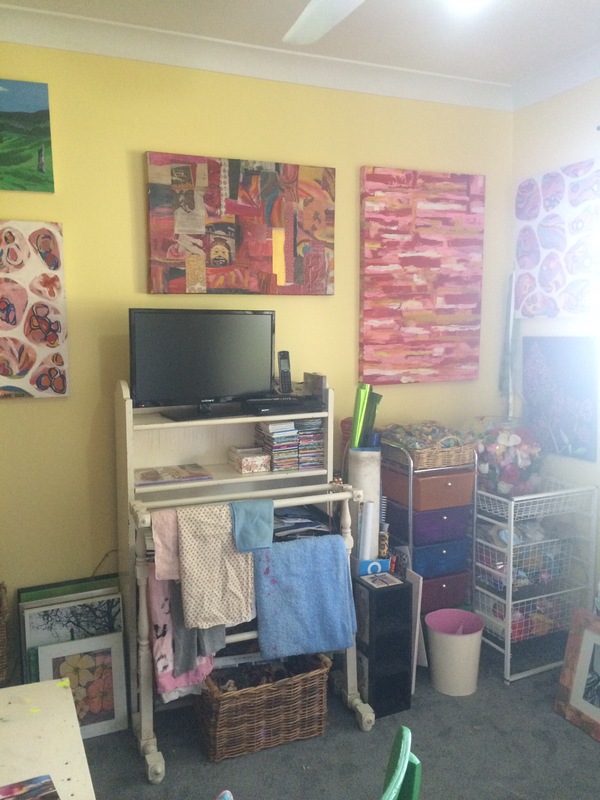 Then of course the next natural step was a massive Spring Clean (even though it’s Autumn). 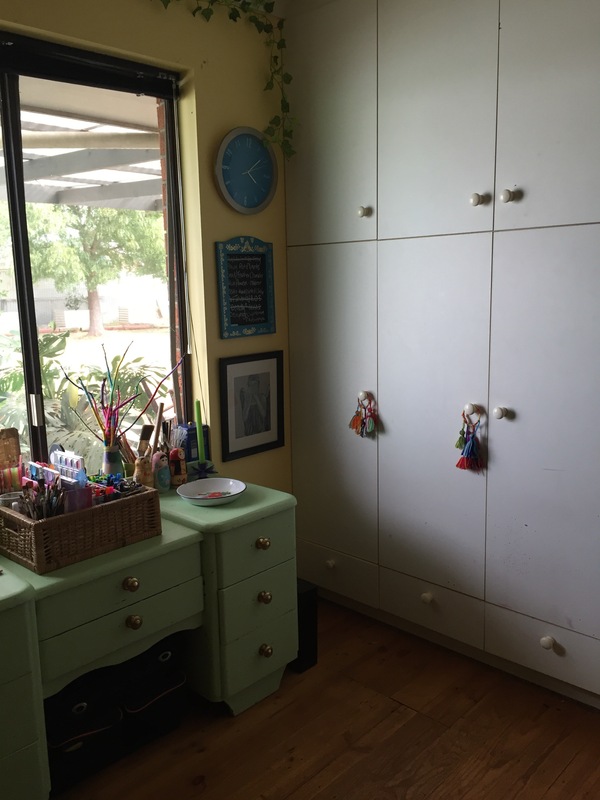 All the cupboards and shelves and boxes and drawers and moving furniture about. That pretty much took three days and I’ll admit I was exhausted. 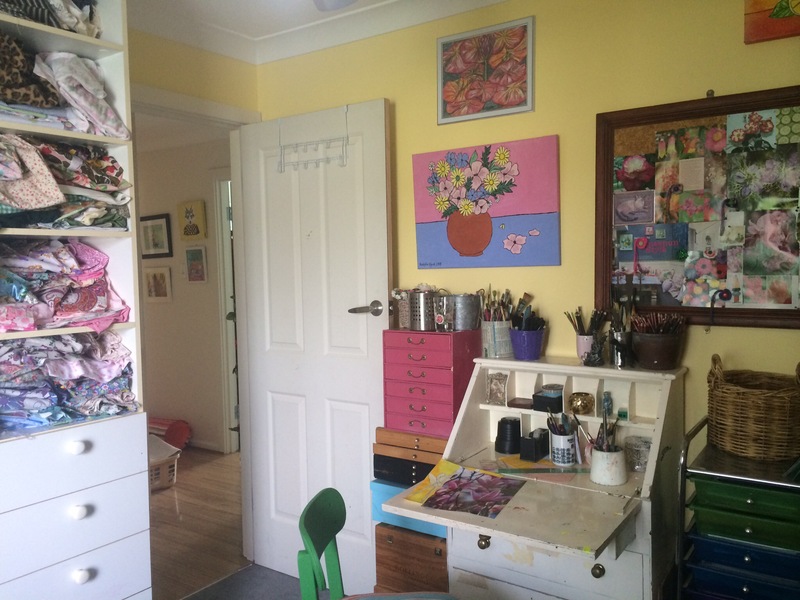 But I did spend Easter Monday painting in there and I really didn’t want to leave the room! Poor Luiseach doesn’t agree. She’s too scared to walk on the floor, even now a couple of weeks later. 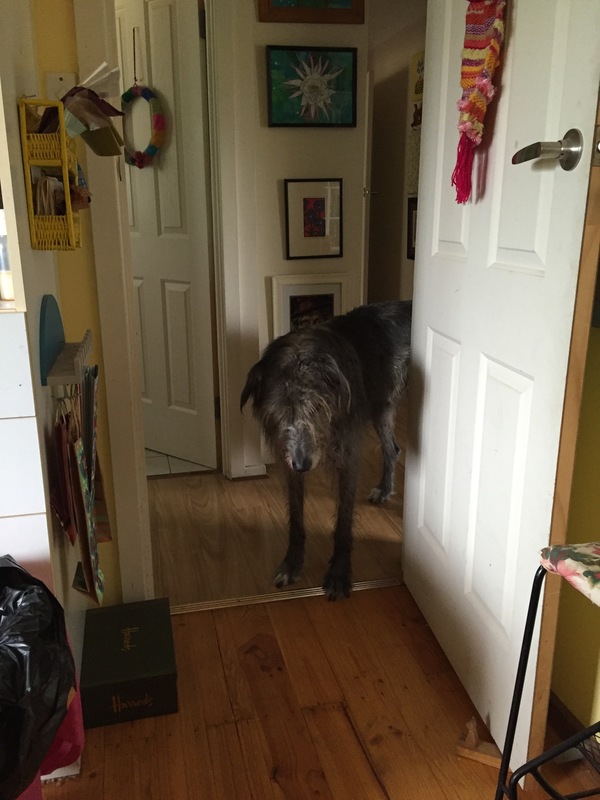 It’s clearly a dangerous, wolfhound-eating floor…. 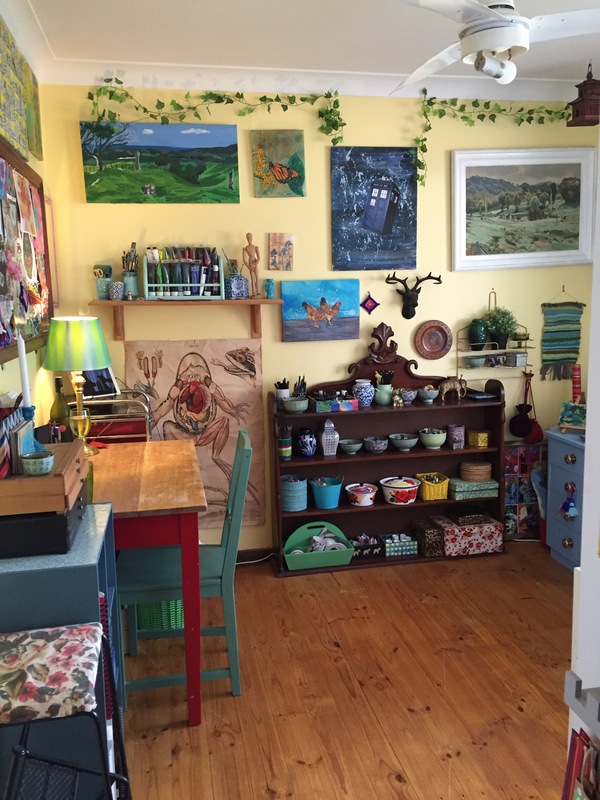 This entry was posted in Decorating, Home DIY and Decor and tagged carpet, diy, floor, floorboards, flooring, studio, wood. Bookmark the permalink. 2 Responses to What I got up to over the Easter long weekend….